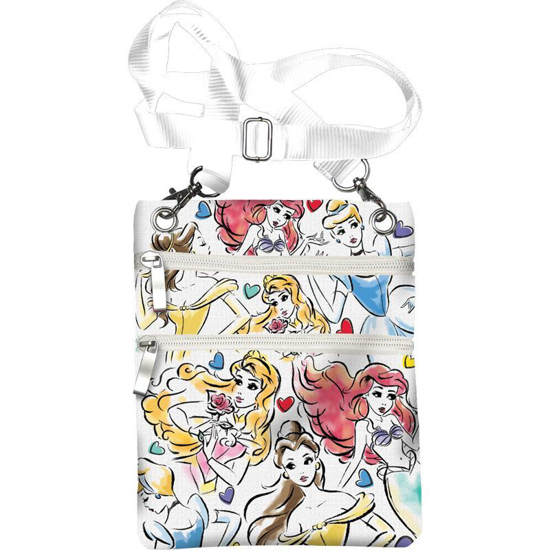 This Disney princess passport bag is a must have for going to Disney Land or Disney World! It has a long adjustable strap and two zippered pockets. It is perfect to keep your money, ID, cell phone and tickets in while riding the rides and walking around Disney! It is not bulky! It is also perfect for older kids to keep their tickets and phone in while traveling or walking around disney! It would also work as a little girls purse! 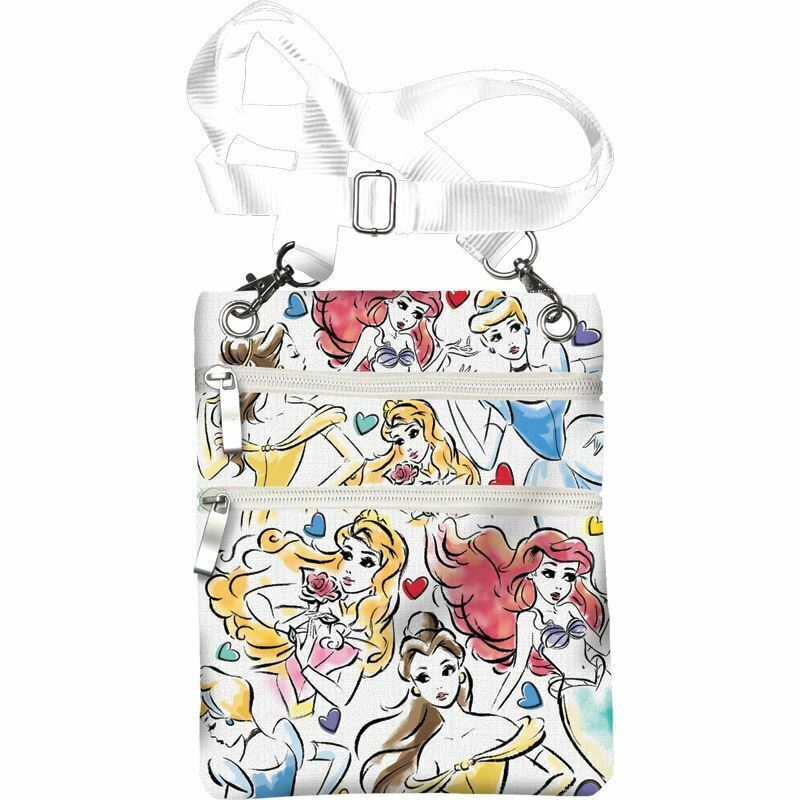 The princesses on the bag are Ariel, Belle, Cinderella, and Aurora.